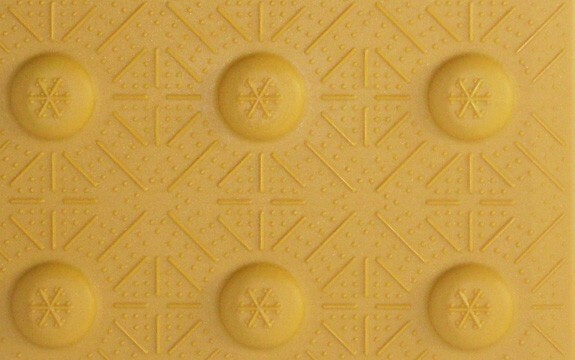 The DWT provides cues to visually impaired persons of changes or transitions in walking surfaces, such as, curb ramps where the sidewalk meets the street or on transit platforms. We do our part in recycling. 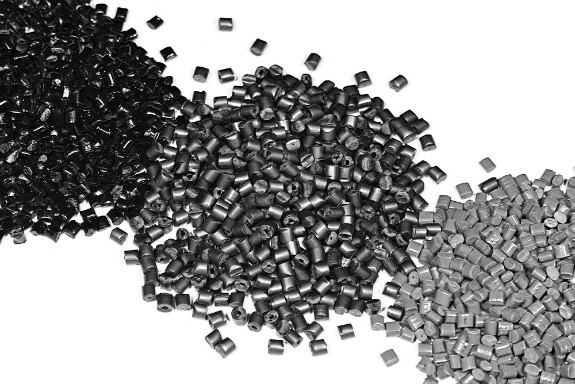 All of our plastic and rubber products are made out of recycled materials such as plastic polymer and scrap tire rubber. 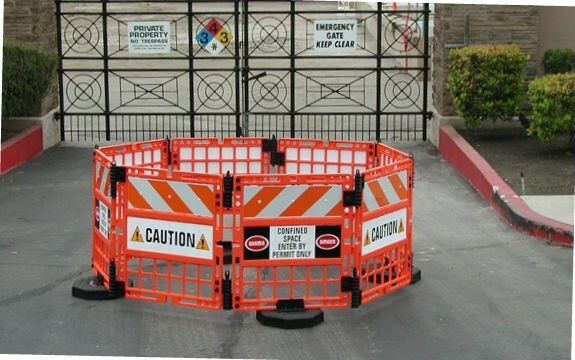 Work Zone Safety Barrier provides worker and pedestrian safety, and is ideal for confined spaces such as manholes, sidewalk barriers, airports, and hospitals. Our unique bolt-together system (at each swivel joint) allows for easy and precise setup along a desired path. Temporary or permanent. 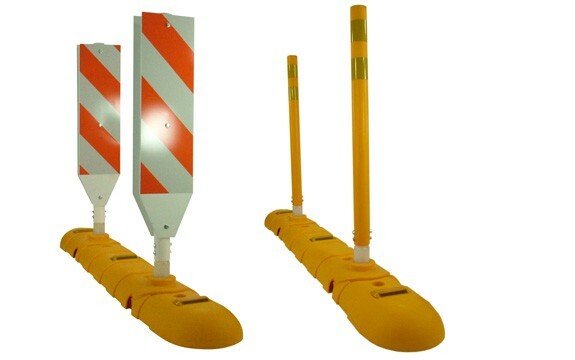 Provides a continuous detectable edge barricade - also known as a detectable pedestrian barricade - with hinges allowing up to 90 degree angles and plastic boards that can be adjusted to a 3% slope, to handle uneven surfaces in the work zone. 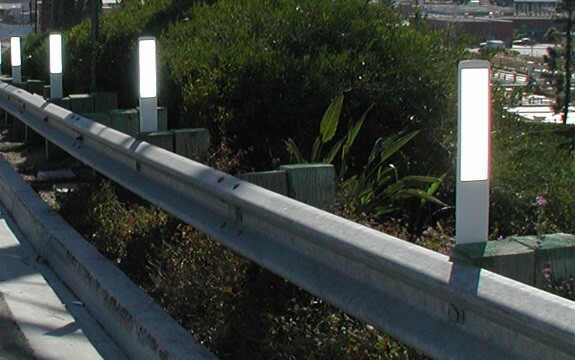 Our TD9100 Guardflex Guard Rail Delineator provides exceptional visibility on roadways where vision is restricted by hills, vegetation, curves, or snow. Traffic Works continually expands its growing family off traffic safety devices. We manufacturetraffic safety products using the latest innovations in recycled materials and green manufacturing techniques. 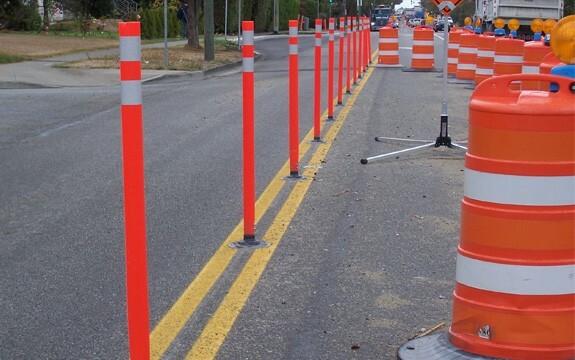 Our traffic safety products are used internationally for both permanent traffic control, temporary traffic control, work zone safety, in parking lots, for event safety, in "safe routes to school" programs and more! Whether you need Channelization, Delineation, crowd control portable sign systems or elevator and escalator work guards; Traffic Works offers the right solution for your all road safety, highway safety, pedestrian safety and work zone safety applications. If you can not find what you want in our catalog call us and we will try our best to find a solution to you unique needs.